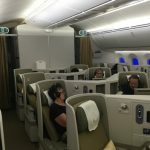 Gold Coast to London with Vietnam Airlines. Part 1. From time to time on the Ginger Travel Guru we have a guest article from a friend. 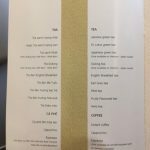 This is one of those guest posts from James and Richard who recently travelled with Vietnam Airlines from Coolangatta in Queensland, up to London. This is the first of my guest blogs in a series. It focusses on a number of journeys that have some link to Australia as my partner and I moved there a year ago. In a similar fashion to the Ginger Travel Guru, we seek out great value premium fare deals when travelling long haul to ensure maximum comfort. Anyway …. 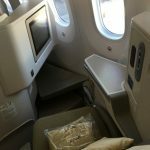 Recently we had some travel to arrange between the UK and Australia; Vietnam Airlines (SkyTeam) had a particularly good business class deal running from London Heathrow via Ho Chi Minh City to Sydney. Fares were in the £1670 region for flights departing in January 2017 and returning all the way up to July 2017. 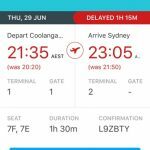 This review is about our return flight from Sydney to London. 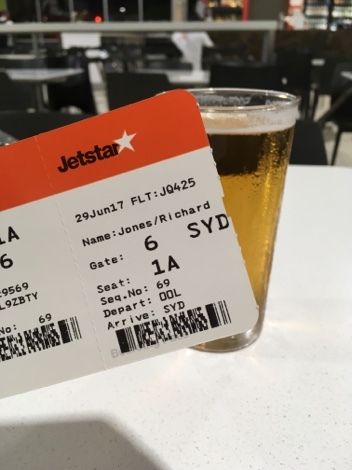 As we live in Queensland, which is about a 70 minute flight from Sydney, so we started our journey on a very low cost Jetstar A320. 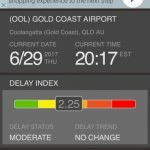 Normally this would not merit any comment for this blog, but due to inbound aircraft delays our flight got cancelled. 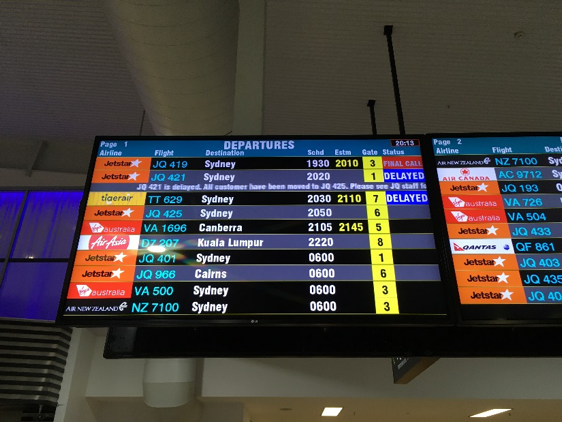 Again, nothing unusual, however I was very impressed with the Jetstar staff on this occasion. I had been tracking our delayed flight on TripIt Pro and the airport delays on FlightStats, so I had a fair idea that we were going to be very late, therefore once I saw the update below I was about to go to the desk when we were called up over the PA and asked to attend the gate. 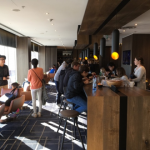 nyway, we got to Sydney and stayed in a generic airport hotel before setting off to the International Terminal to board our Vietnam Airlines flight. Our hotel was about 5km away from the terminal and the Uber we took should have taken no longer than 15 mins. However due to Sydney Friday morning traffic it took closer to 45 minutes. Luckily, we’d allowed plenty of time and arrived to a very short Business check in queue. We passed through immigration, and in a note of interest to #avgeeks, filled in our Australian Outgoing Passenger Cards for the last time and placed them in a box (I suspect not to be read, but just shredded). This was because it was the last day before the Australian Government withdrew them in favour of electronic data gathering via airlines. 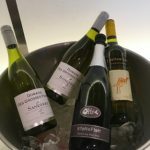 Vietnam Airlines use the SkyTeam lounge at Sydney airport, but there are some other options that we wanted to explore. 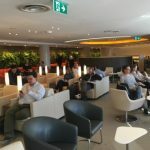 As holders of various Amex cards we have access to the American Express lounge. It just so happens that this is right next door. 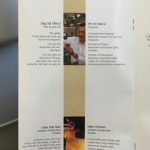 There is a reason for this, however, they appear to be run by the same company from a back of house perspective, this reflected in their near identical service offering and drinks selection. We headed to the Skyteam lounge first, it’s down an escalator and is a reasonably large open space with windows looking out onto the apron. There was a mixed selection of breakfast items, hot and cold drinks. I had a trusty bacon sandwich, but could have had cereals, pastries or cold meats etc. 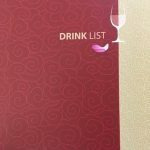 Generic alcohol selection (Bombay Sapphire Gin, Bundaberg Rum, Grey Goose Vodka Chivas Regal whiskey, Jim Beam and Baileys), red, sparkling and white wine (Yellowtail and Stonefish). Being 9am, we didn’t try these out! 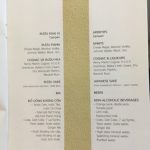 We moved on to the Amex lounge hoping for something a bit special, but as already mentioned it was just a more crowded version of what we already had seen. The lounge décor, however, felt more refined and there was the addition of buckets of sweets on the tables (for a sweet toothed person like me, that’s always a winner!). 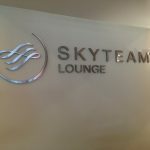 If the lounge hadn’t been quite so rammed we’d probably have preferred this one over the SkyTeam one, but in reality, they are the same product. Soon it was time to board, so we wandered off to gate 34; our flight number was VN772 and we were travelling from Sydney (SYD) to Ho Chi Minh City (SGN). 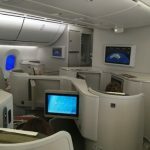 There was priority boarding for Business Class passengers and we moved swiftly onto the plane, a Boeing 787-9, sitting in 3K and 4K as we both wanted to have a window view for the day flight. 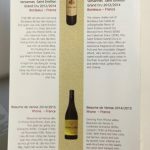 This plane has a three-class set-up, Business, Premium Economy and Economy. 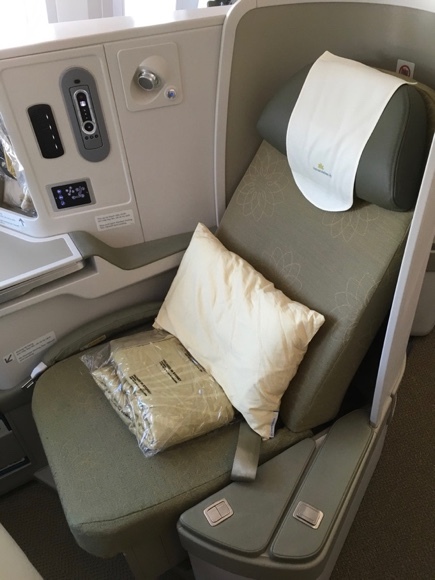 The business class cabin is arranged in a 1-2-1 configuration with a reverse herringbone pattern – all pretty standard stuff. I have to caveat my next set of comments …. 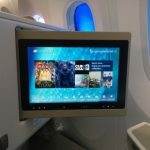 The Vietnam Airlines Business Class product is very solid: it is a flat bed on a modern plane, we were both able to get some rest and had a very comfortable flight. In addition, the fare was great value for this route – about 50% of the competing airlines. When we boarded, there was nice Vietnamese music playing from the PA, but super loud so that it made it hard to converse between seats, a nice cultural differentiating touch, but spoiled by poor delivery. 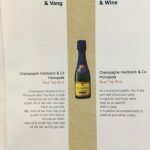 Pre-departure drinks were offered, I selected champagne which was Monopole Blue top, brut, served in a wine glass, rather than champagne flute. An adequate pillow is provided, a good quilted blanket (take note BA! ), headphones, amenity kit including slippers and “wake me up for duty free” stickers! The seat has a number of little cubby holes to store things and an ottoman for your feet / part of the bed, unfortunately one of my cubby hole catches was broken meaning it rattled, I used my engineering background (read: hitting it) and the catch fixed itself. The provided headphones are very cheap, not noise cancelling, and really sub-par for a business class cabin. I used my trusty (6 year old) Panasonic RP-HC700’s instead. The aircraft isn’t fitted with wifi, but as we were on holiday that wasn’t an issue for us. The Captain introduced himself over the PA and we were off, pretty much on time. After being distracted by the splendid views over Sydney, I decided to run through the entertainment selection, it was easy enough to navigate but the selection was limited. The films were not very up to date and had a large number of Vietnamese language films (to be expected on Vietnam Airlines! ), but there were a few that I was willing to give a go so I started watching. About 30 minutes into the film, the crew accidentally started the welcome sequence again, this had the effect of resetting the film position, so I had to fast forward through to get to the point I was at. 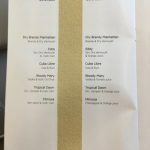 We had been given our food menus before takeoff and orders were taken swiftly. I decided to have the seared lamb loin to start, which was a cold plate. It was nice enough, the salad looked quite wilted, but as a rabbit-food dodger I didn’t try it. A nice cream of mushroom soup followed next, and then I selected the seared duck with fettuccini for main course. The duck was one of the toughest things I’ve tried to eat – it was impossible to chew, so I left it. The fettuccini was dry and also hard to eat as it stuck to my mouth, and the vegetables were unappetizing – they retained the shape of the bowl they’d been tipped from. I tried to cut the duck before I took the photo, you can see that it was a struggle by the amount of movement in the sauce! 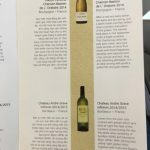 I opted for the Saint Emilion Grand Cru to accompany the meal, the crew seemed confused that there were two reds on offer, however they found some, and when it arrived it was quite cold. I cupped it in my hand to bring it towards room temperature. 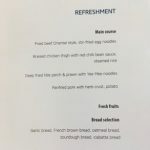 The meal comes with a bread roll, but in a consistent theme across all the flights I’ve taken with Vietnam Airlines the bread comes as you finish the main course – it’s a minor thing, but for some reason quite irritated me. Next up was the dessert course, this was a selection of cakes served from a serving plate at the seat. I asked the purser what each of the cakes were, he didn’t know, and seemed to expect me to just pick one based on the way it looked. 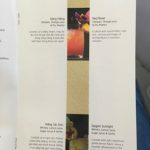 For ease, I did what was expected of me, but I was surprised that the senior crew member in business class didn’t know what they were serving. 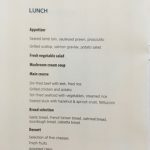 I don’t have allergies, but if I did I’m not sure I’d be confident my needs would be addressed well if the senior crew don’t know what they are serving. This was followed by some cheese, biscuits and grapes – nothing amazing but inoffensive enough. 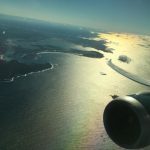 It always amazes me how vast Australia is, so almost five hours into our flight we had just left Australian airspace and a couple of hours after that we were served with a pre-landing meal. I had braised chicken thigh with chilli and rice. 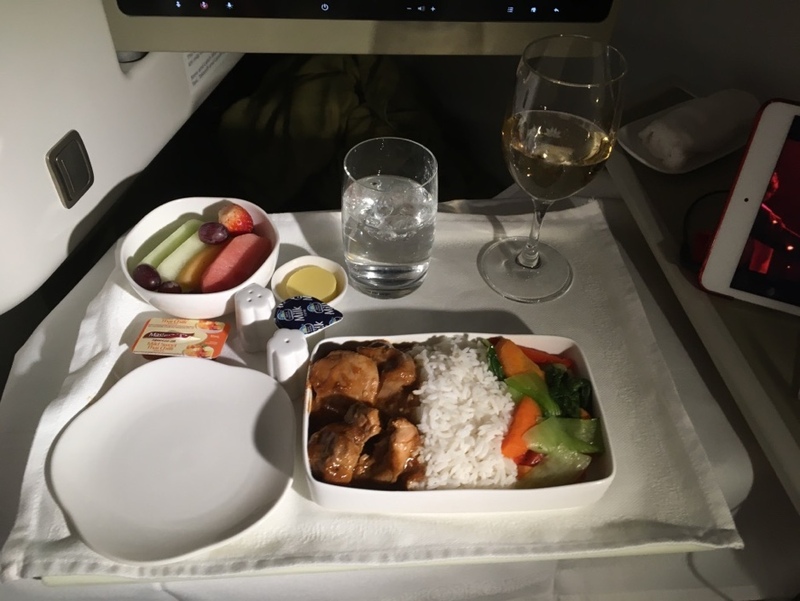 The meal was essentially what you’d expect in an economy an airline meal, except it was presented in a ceramic dish instead of a disposable tray. accompanied this with the Chateau Andre Grave Infinivin, which was crisp and pleasant. The chicken was a revelation compared to the earlier meal despite its presentation, it was tasty, well balanced, spicy and not over cooked. I was expecting a dense lump of rice, but it was fluffy and not sticky. We landed on time at Ho Chi Minh City, moved quickly to the air bridge and disembarked efficiently. Previous Post: Star Alliance MegaDo. Day 2. Brussels. Next Post: Moxy Hotel Vienna Airport. Doesn’t look ok like there’s much choice for vegetarians – did you happen to see anyone offered a special meal at all? Thanks!